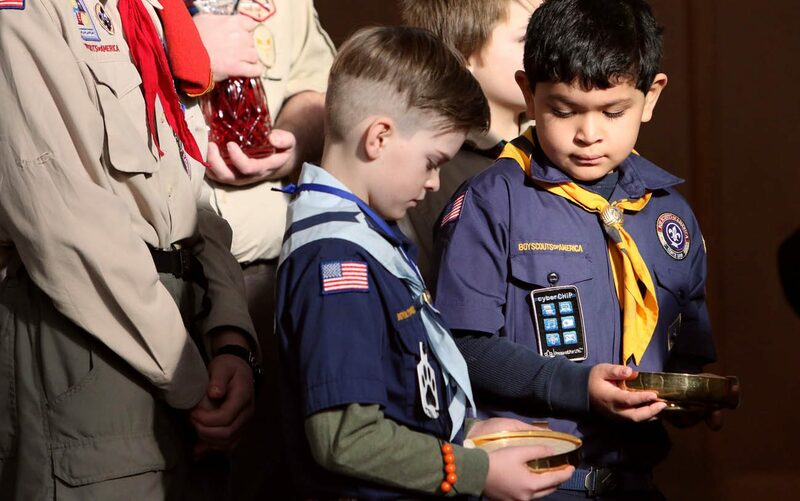 UPDATED – IRVING, Texas (CNS) — The leaders of the National Catholic Committee on Scouting, which has its headquarters in the Dallas suburb of Irving, said they “accept and work with the new membership policy of the Boy Scouts of America” to admit girls. “We were informed this morning” of the policy change, said an Oct. 11 statement by George Sparks, the national chairman of the group, and the committee’s national chaplain, Father Kevin Smith, a priest of the Diocese of Rockville Centre, New York. “Once we have had more time to review the policy and a chance to consult our national membership, we will be able to comment further about how this new policy will reflect changes in the makeup of Catholic-chartered units,” they said. Afterward, “we took an informal straw poll, and everybody at our meeting — there were about 18 people at our meeting — thought this was the right thing to do,” Sparks said. The Boy Scouts currently have 2.3 million members, less than half than the 5 million the organization had at is peak in the 1970s. The vote to accept girls as members was unanimous, according to a spokeswoman for the Boy Scouts. The Boy Scouts allowed gay members in 2015, gay troop leaders in 2015 and transgender members last January. Admitting girls to the Scouts has “really been an issue that’s been there, although it hasn’t been on the top of the list because of the other membership-related issues the Boy Scouts of America has faced. But it was an issue that was definitely brought up at the Boy Scouts’ executive meeting in May of 2017, and it was carried forth to this board meeting,” Sparks said. “It is the mission of the National Catholic Committee on Scouting to utilize and ensure the constructive use of the program of the Boy Scouts of America as a viable form of youth ministry with the Catholic youth of our nation,” said the Oct. 11 statement from Sparks and Father Smith. Joseph Carballo, 70, a member of St. Helena Parish in the Bronx, New York, has two grown sons who were both Eagle Scouts. “And we all have the same view: no girls,” he told The New York Times Oct. 11.